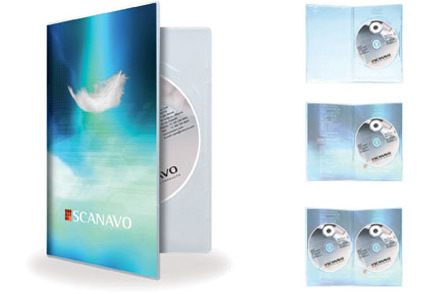 Scanavo’s light case has a conspicuous appearance relecting a superior level of innovation. In the development of the case, emphasis was placed on functionality and elegant light appearance. The concept is characterized by the degree of flexibility in the utilization of reduced retail shelf space. To further enhance maximizing retail shelf space a 2 disc case was developed along with a lighter case model for use in mailing/shipping applications.